The 3107-acre Bashakill Wildlife Management Area is home to the largest freshwater wetland in southeastern New York. The usual meeting spot for Bashakill field trips is the Stop Sign Trail indicated in red on the map), which is off Haven Road. From Route 209, turn onto Haven Road, cross the causeway and a little bridge, and then turn left on an unpaved road, which leads to a parking area at the end. This is where the stop sign is! “The Bash” is a state-designated Bird Conservation Area, and more than 220 species have been recorded here. The habitat—wetlands surrounded by deciduous woods and shrublands—hosts breeding Wood Ducks, herons, rails, moorhens, Bald Eagles, Osprey, and bitterns, among others. 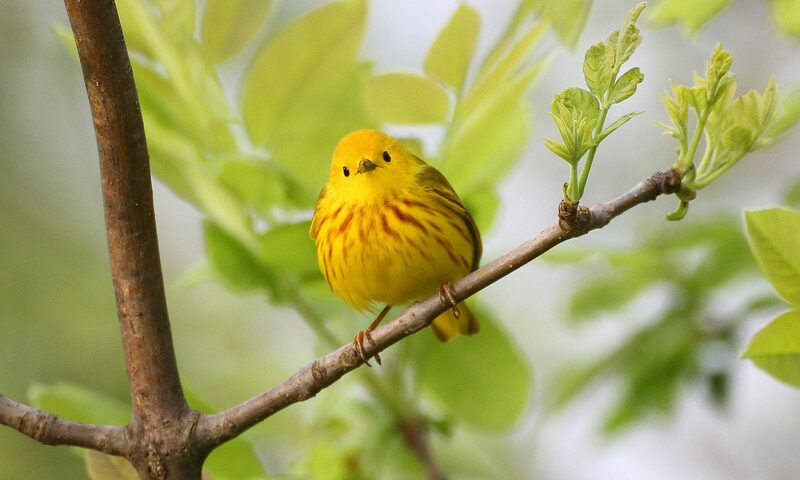 Two dozen species of migratory ducks stop at the Bash during their travels, and the site is a veritable magnet for migrating wood warblers in the spring! Red-breasted Nuthatch. Photo by Alan Wells. Chipmunk. Photo by Karen Miller. Least Bittern. Photo by Alan Wells. Osprey. Photo by Alan Wells. Blue-headed Vireo. Photo by Alan Wells. Bald Eagle. Photo by Alan Wells. Blackburnian Warbler. Photo by Bill Fiero. Savannah Sparrow. Photo by Joyce Depew. Great Blue Heron. Photo by Alan Wells.